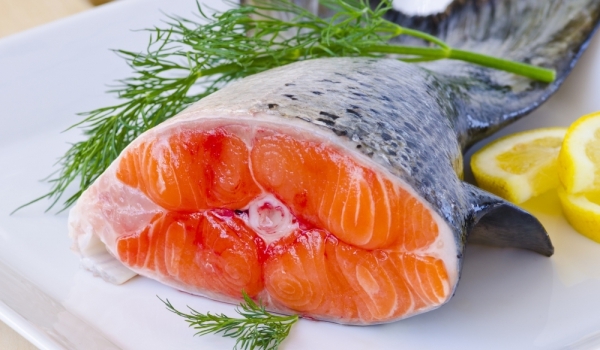 Is genetically modified salmon safe to eat and what is the impact of the human body? We have heard of genetically modified foods, but what and how much we know about them really. We’ll take the example of salmon. 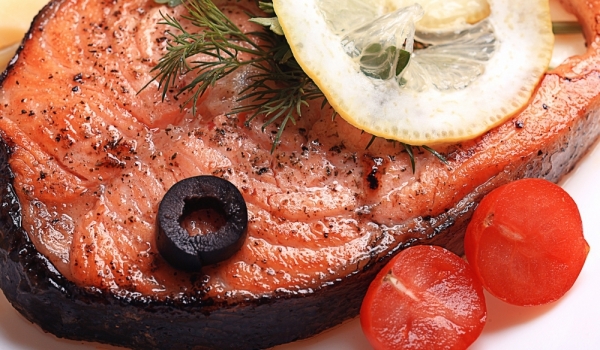 To achieve faster weight suitable to be exposed to the fish market, the scientists alter the genes of salmon by adding any of these genes enhance growth hormone all year round and the result is there, and then in no time the fish are enormous. Thus the people who grow them, in addition to saving time, saving money as well as catering and maintenance, while receiving double incomes, because selling salmon more often than they did in the past. They can afford to reduce the price, but it is an indisputable fact that the lowest price and enticed more people. However, when you buy something cheap in the first place you have to think about their health and then environment. This new method completely changes the natural selection on the farm. Do you think that’s normal corporate interests to take precedence over nature and human health? If you are thinking on this issue is high time to do it. Naturally, those who profit from the new species have been resolved in this to convince us that there is nothing dangerous to our health and that it is not much different from ordinary salmon. Does it, however, that if GM salmon become cheaper and begin to consume more often these artificial genes attached to it will also affect your body? Yet to be done research on this issue, but if we ourselves prefer natural food we more or less to insure. Large companies say the new sockeye that create, with nothing to affect the development of the remaining free-living salmon, but recent research refutes this claim and released data that if only 60 pieces genetically modified salmon be put at 60,000 the number of wild live in less than 40 fish generations natural such will disappear completely. Our advice is to purchase more expensive and better quality products, while eating them less often and in smaller amounts. Remember – it is important that quality, not quantity or in this case, true to GMO is.